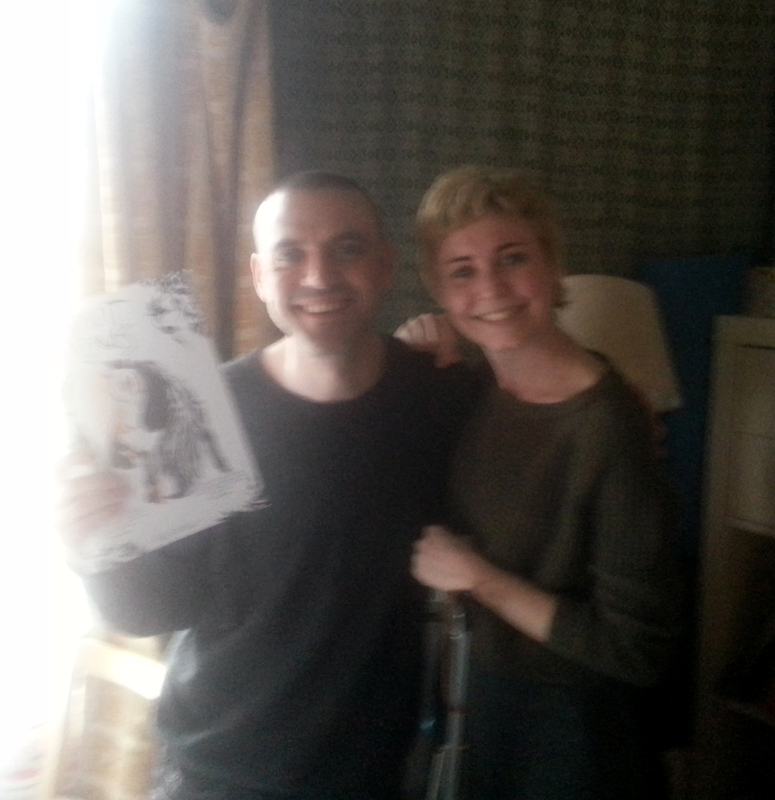 Well it was a great and productive day – I went up to Hope Street Studios and met the lovely Jason Mathis (Canadian of course! who made me feel so welcomed and chatted away for yoinks) and hanged out with Jim Devlin, Alex Ronald and Frank Quietly who all recieved their signed copy of Spirit Leaves.Dave Gibbons will have his copy now (sent through the post) Dan Mcdaid recevied his and now it only Ramon Perez who needs to get his ( in the next few weeks soon). 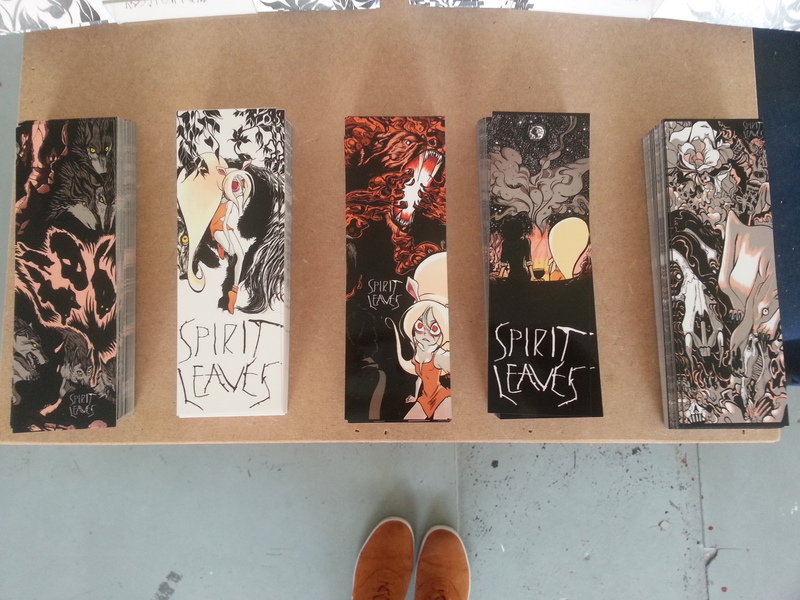 These guys have been a big contribution to the development and production of Spirit Leaves. Who knows I may even base myself at Hope Street after I get back (maybe! )… I know the offer is there and the guys are awesome and super freindly! 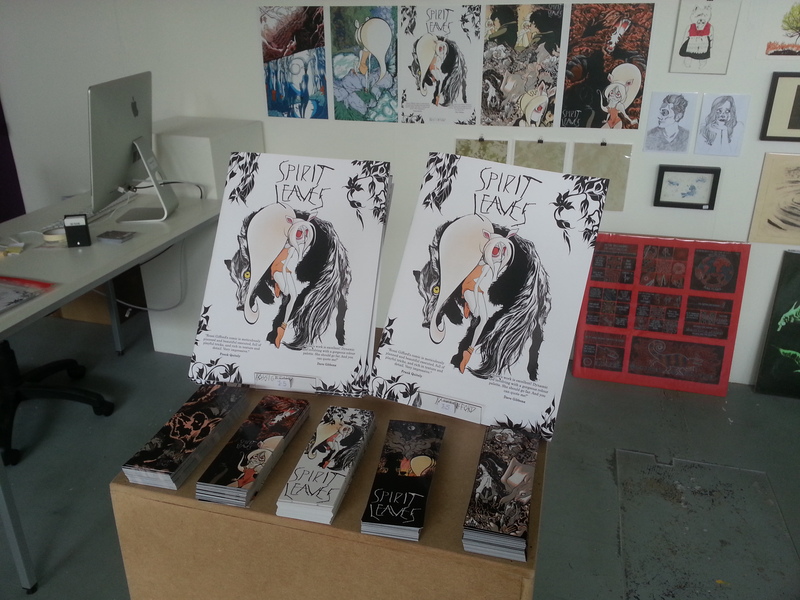 Degree Show is done and over 100 copies sold! Well folks thats it! Was fun and love engaging with the visitors who came to the show, gaining new fans and getting such positive feedback on Spirit Leaves. I wanted to make the effort and spend all day in the space as no one else but me could sell it and telling the public how I created it. I am relieved it is done and only 3 weeks today I go off to Toronto! Dead excited and the money I have made this week contributes to my living expenses and so far including the sale of comics and 5 original pages I have made over £1000! I was aiming for that amount and thought maybe it was too ambitious. Apparently not haha! A HUGE thank you again for those you visited, bought and apprecited my comic so far. Family and mates your awesome! Jeez Louise! 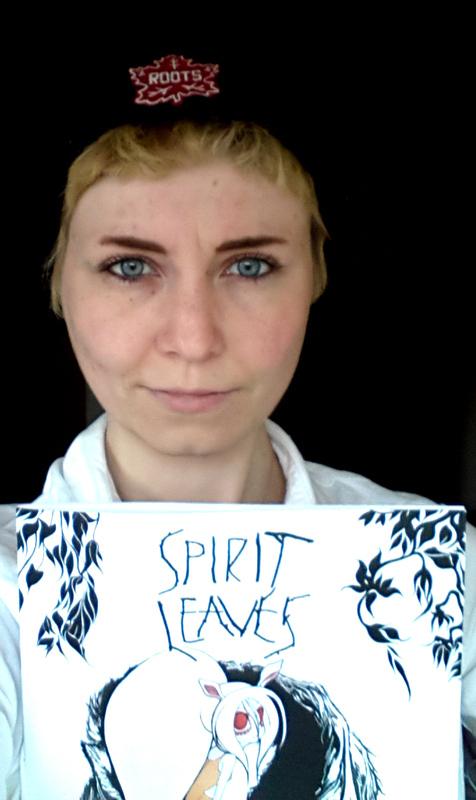 I seem to be getting a little more attention, I just noticed it the other day,Thanks so much guys for checking my stuff out and for those you have bought a copy so far of Spirit Leaves. The responses have been so genuine and fantatstic! 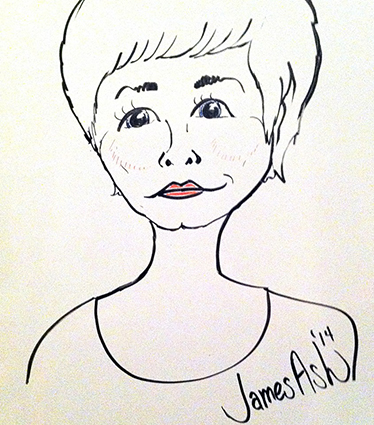 This drawing was drawn by once again The Offensive Playbook Draughtsman James Ash. Probably my favourite portrait so far. 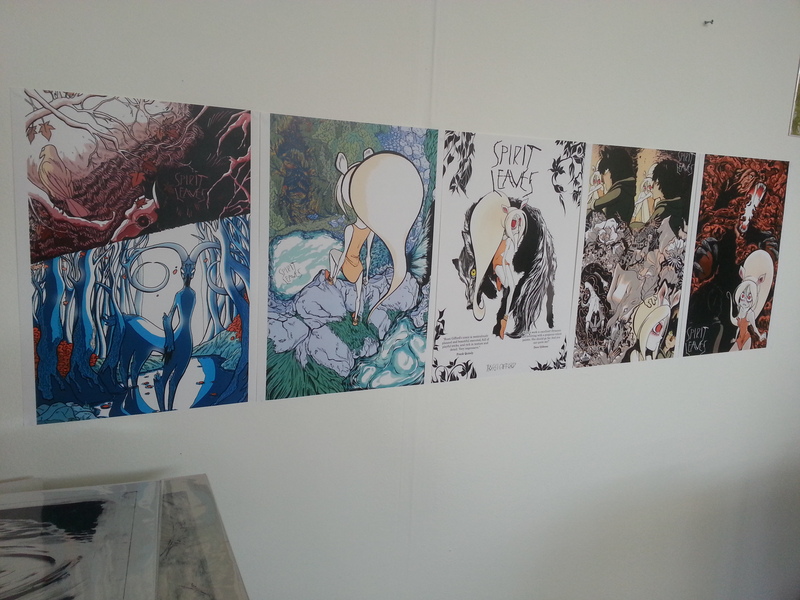 Degree Show has been pretty good so far, seen great work, sell the comic everyday and I make the effort to engage with the visiting audience, gaining new fans, giving insight of upcoming students to the course and advice. I have quite a few fans now but this one is my biggest one (in Scotland). It is simply amazing and extremly flattering that I am already catching people’s attention with my work and love it. The ankowledgement, praise and the fact people are inspired by my work to make them strive to make their own comics is the most incredible response I could recieve. 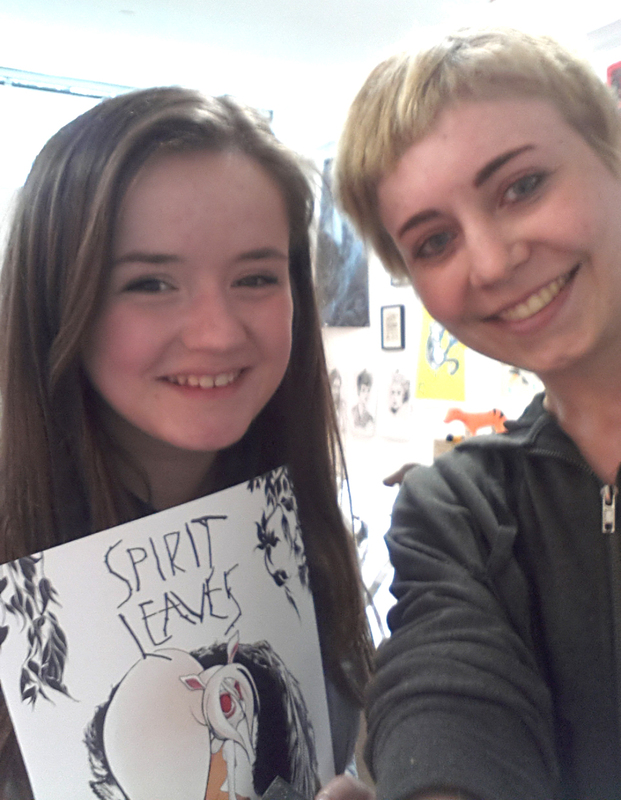 This particular fan is probably the sweetest and she has bought Spirit Leaves today. I signed it of course,also 2 purchased posters and in return I asked her if I could take a photo of us and post it on my blog. It means a lot to me and I think she got pretty excited about it. Well folks, uni is officailly done, got my degree and Spirit Leaves is all set for tomorrow. The show opens at 6 till 9 at DJCAD and there will be unlimited free alcohol. Everything is set up and ready to be exposed! Illustration is one hell of a space to check out. A huge thank you to everyone who have supported me, who appreciate and anknowledge my efforts to making this comic. The comic is £5, posters are £3 and there are limited l supply of free bookmarks, so be sure to be in early and pick one up! 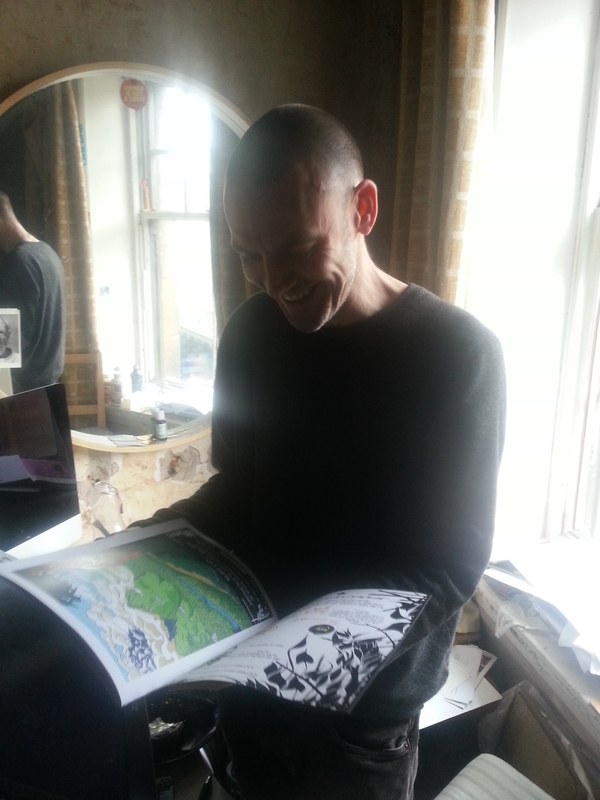 I am also more than happy to sign your bought comic and poster too. This is a original drawing by the talented James Ash of The Offensive PlayBook. Love this and he has captured the “Rossi-ness” in just 45 seconds. 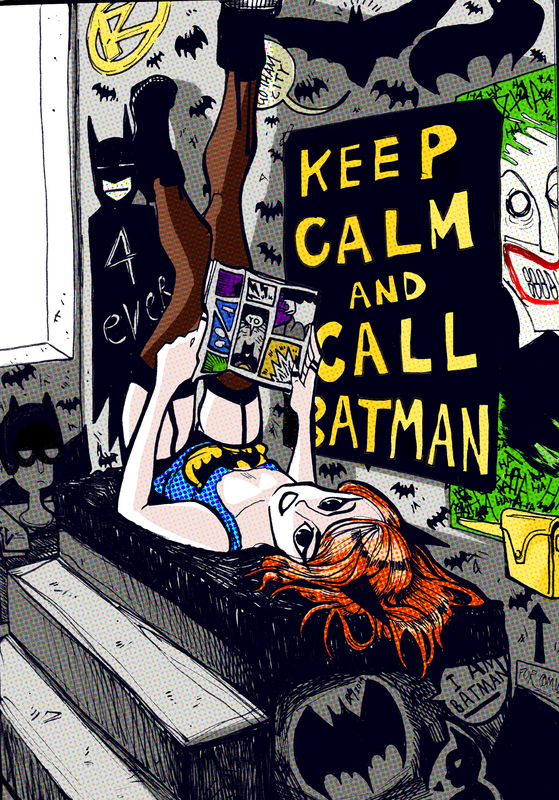 Everyone I know loves the process/ development of how a drawing, comic page or painting is made. I did a post last year similar to this theme – taking a photo reference, establishing the essential lines and creating an image that is stylised, simple but the anatomy is correct. The thing with cartoons, with bold shapes and lines, makes it seem not a lot of effort has been put into assembling a character when actually it is the complete opposite. To draw a cartoon character that is both exaggerated yet still recognisable to be a human requires a great deal of understanding of the body form and making those “bold lines and shapes” to convey an arm, a leg or a head. And making these distinctive characters a little distorted, wierd or darn funny looking but to still have the traits that you could compare this individual to someone you know… underestimated skill. Anyway! 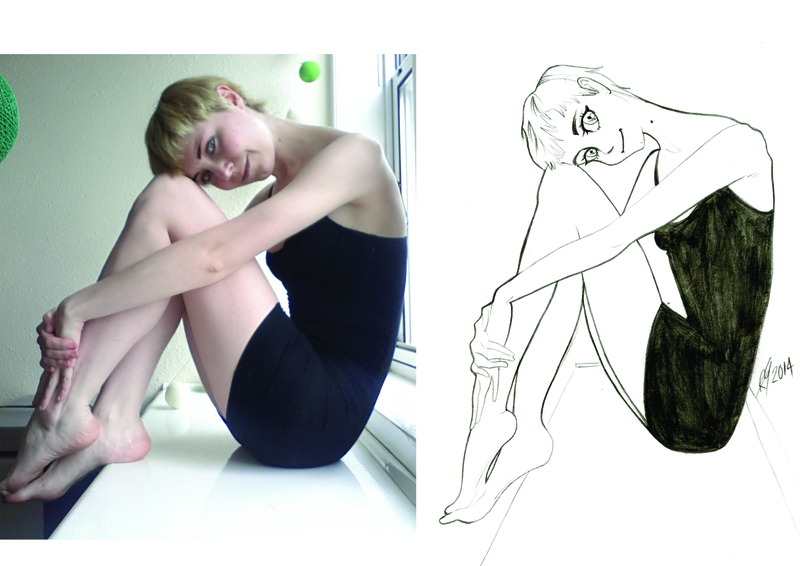 I did this drawing of a photo I took of myself ( selfie moments trying new clothes, sorry seems very vain!) I love drawing the body and this pose in particular was a lot of fun to draw. I get carried away exaggerating features and elements of the body to make a stylised form. Also with this BlackWing pencil… this was a very easy and fun image to draw. I hardly type anything in my blog… I just post drawings, videos, photos and briefly comment but this post I want to tell you about this pencil. Every artists should invest in this as it is a badass pencil that will make your sketches even more beautiful. When it comes to drawing… I use pretty much any standard pencil, marker or paint etc I believe that no matter what you use, if you have the skill and technique down then you can pretty much create anything out what you have and it will be good. A friend from Canada and I were talking about equiptment we use and he shows me this type of pencil… The BlackWing 602 “Half the Pressure, Twice the Speed”. Only available in America he orders them and only uses this pencil. I was bit like “meh whatever” but then offered to send me one and give it a shot… I will be turned. 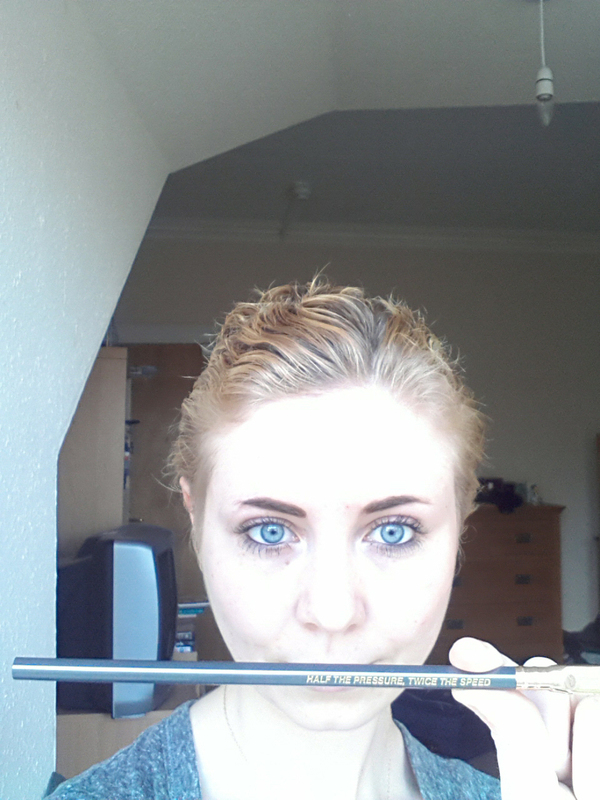 So Thursday I recieve a parcel which was lovely and inside is the pencil. Was so excited and I wanted to keep it for something special. 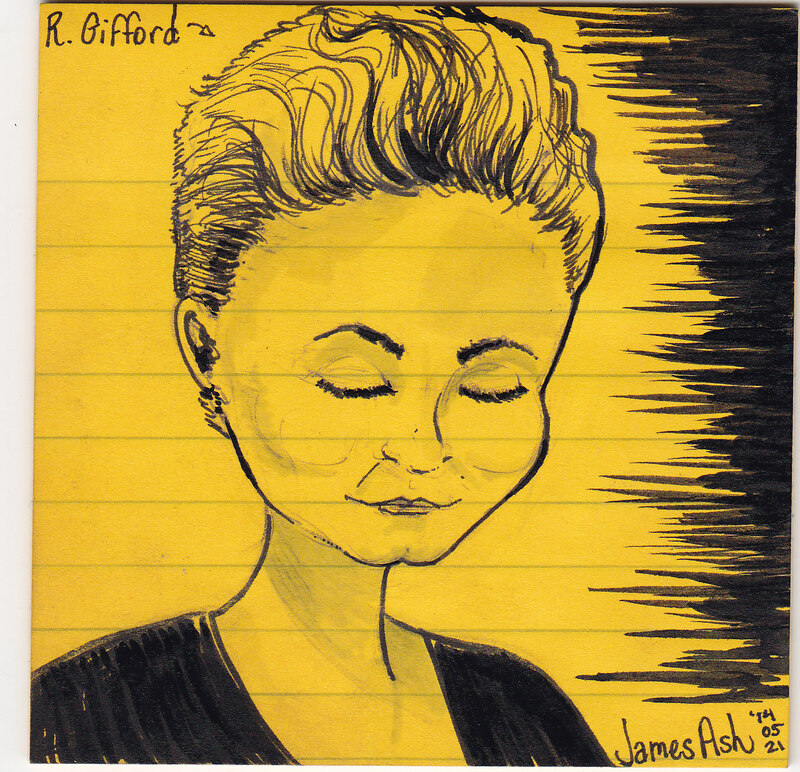 I tried it out yesterday and what can I say… it is a damn good pencil. It has a detachable eraser (that actually rubs lines out!) and once it gets a little to stubby you can extend it, the pencil itself is beautiful and draws across the paper so smoothly. And the quote stencilled on it… is true. I hardly have to force any pressure (which I do) and the wieght of the line is obvious. He was right, I have turned to the dark side… to the BlackWing side and I heavily recommend this to all creators.